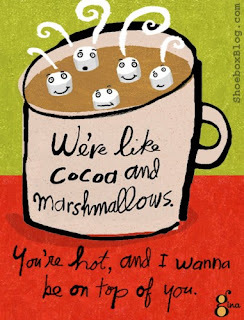 What's so romantic about hot cocoa, you ask? What's not romantic about hot cocoa? Just the very thought of cuddling up with my hubby on a cold winter day with a cup of hot cocoa is enough to make me wish for a winter storm to blow in that shuts everything down! How About Orange posted a DIY tutorial for this clever cocoa dusting. 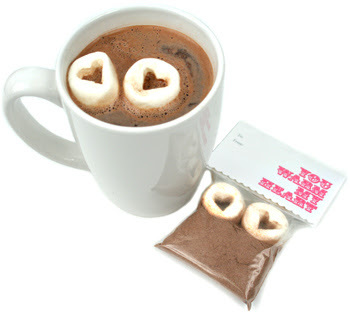 Martha Stewart tells her secret for making these cute heart-shaped marshmallows! 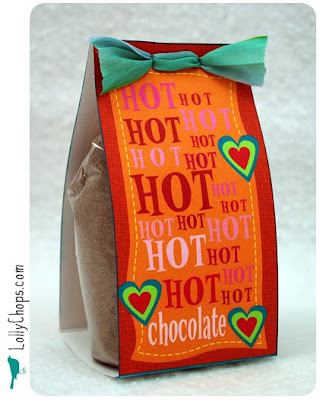 LollyChops provides the idea, recipe, and free downloads to make both of these hot cocoa packages! I especially like the first. I'd attach a tag that says, "You make me Hot! Hot! Hot!" 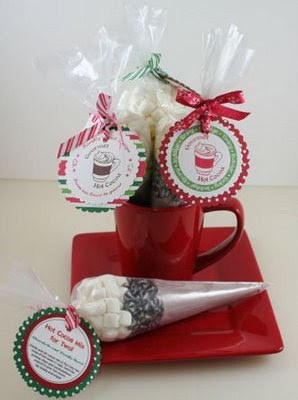 Kellie Fortin created these fun "Hot Cocoa for Two" cones...this could make a fun gift for any other couples you are friends with, too. 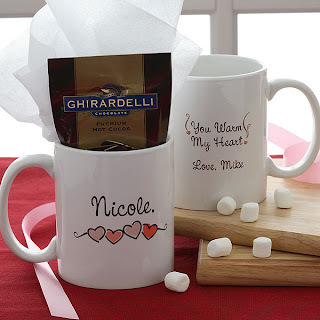 Personalization Mall offers some creative inspiration for the serious hot cocoa lover who would appreciate their own mug! 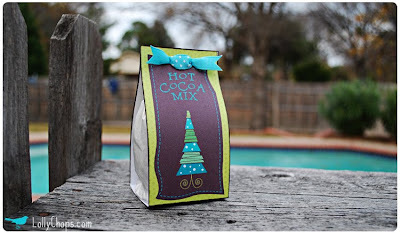 Our Best Bites has the Ultimate Hot Chocolate recipe...with all sorts of possible variations (Mint, Peppermint, Hazelnut, Mexican Hot Chocolate....) Yum! Don't think I've forgotten about those of you in a long-distance relationship! 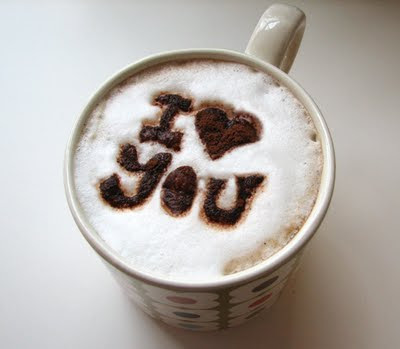 No matter the distance, hot cocoa can still bring you closer together this winter! This would be a really light-weight item to ship to your hunny and no doubt it'd leave a warm spot in their heart for you! One of Love, Actually's readers submitted a link to her blog where she posted about a "Hot Chocolate Date" her and her hubby had just a while ago. She writes, "After putting up our AWESOME tree we finished our night with a Hot Cocoa date. Jonathan found this HUGE mug. Even bigger than the soup mugs.. and he made a big cup of Hot Cocoa, we went and sat in front of our tree while sharing our GIANT cup of Hot Cocoa. Definitely a fun little date to share a warm cup this time of year. I would recommend it to anyone!" I swear--I didn't tell her to post that! :) Thanks for sharing, Chelsea! 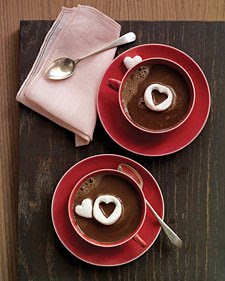 If you have any additions to my "Romantic's Guide to Hot Cocoa", please, do tell! Last week we took our son to check out the Festival of Lights (he loves Christmas lights) and since it was nice and cold, afterwards, we picked up a couple of donuts and had hot cocoa! My son loved it and it was great to have spent it together! 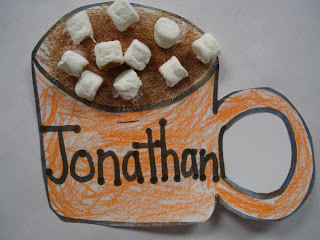 Mmmm... hot cocoa. You know, my husband will be home REEEEEEAAAAALLLLYYY SOON. Not only that, but we're supposed to get a good bit of snow and such these next few days. I'm thinking we need to break out our german hot cocoa we got from my parents. I'm so excited! I don't usually post other people's big blog graphics on my newbie blog because I don't want to typeset my blog too soon before really getting it off the ground. But, I couldn't resist your blog and having a link to you from mine. Your posts are so creative!